Colorado Gov. 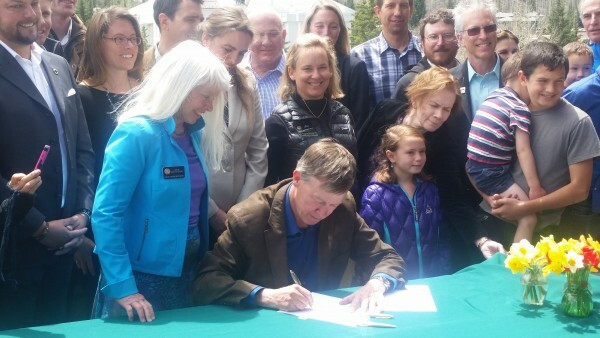 John Hickenlooper signs the Colorado Public Lands Day bill into law May 17 in Vail (David O. Williams photo). Conservation and outdoor industry groups around the state and the country are praising the new, first-in-the-nation Colorado Public Lands Day after Gov. John Hickenlooper signed it into law last week in Vail, simultaneously addressing several other hot topics related to federal lands and the November election. Hickenlooper on Tuesday, in an exclusive interview with RockyMountainPost.com, discussed his aspirations for higher office should Hillary Clinton be elected to the White House in November, and he also talked candidly about some sort of compromise that may be possible on reclassifying hospital provider fees – and whether that would necessitate a special legislative session. Hickenlooper was in Vail to sign a Colorado Public Lands Day bill, sponsored by Democratic state Sen. Kerry Donovan, a former Vail Town Council member and lifelong Vail resident. The current council, including Vail Mayor Dave Chapin, attended the bill-signing ceremony at the base of Vail Mountain that creates a state holiday the third Saturday in May. “Since taking office in 2011, the governor and his team have endeavored to make Colorado the most pro-business state with the highest environmental and ethical standards,” Chapin said in his introductory remarks. Donovan then spoke to the clearly partisan crowd, joking that Hickenlooper could have some of her mom’s cookies if he signed the bill. Donovan’s mother, Diana, was a longtime Vail Town Council member and apparently talented baker. Donovan went on to thank a wide range of groups that backed the bill, including Conservation Colorado and the town of Vail, which sent a resolution of support to the State Legislature. She also thanked Vail Resorts, a publicly traded company that rarely takes political positions. Doug Lovell, chief operating officer of Beaver Creek, discussed the importance of Vail Resorts’ public-private partnership with the U.S. Forest Service and the fact that the entire ski industry brings about $5 billion in economic activity into Colorado. Diane Mitsch Bush, a Steamboat Spring Democrat who was the co-prime sponsor of the bill in the state House, was clearly pumped that the bill, despite Republican opposition, made it to Hickenlooper’s desk for his ultimate signature into law. 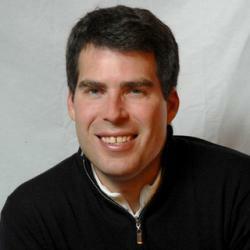 Mitsch Bush represents both Routt and Eagle counties in the legislature and faces a re-election battle against Republican businessman Michael Cacioppo of Vail in November. Denver, Colo., May 24, 2016 – Memorial Day weekend is just around the corner, and as the unofficial kick-off to summer, many Americans will begin vacation adventures that will take them to our nation’s spectacular public lands. In perfect timing, Colorado Gov. John Hickenlooper signed a bill this month that establishes a new state holiday to commemorate Colorado’s federal, state, and local public lands. Starting in 2017, the third Saturday in May will be Colorado Public Lands Day. Colorado has 24 million acres of national public lands, comprised of national parks, wildlife refuges, national forests, and Bureau of Land Management-administered public land. The outdoor recreation industry generates more than $13 billion in economic activity a year and supports 125,000 jobs in the state. To celebrate the new bill that is vital to Colorado’s way of life and businesses, the statewide nonprofit organization Volunteers for Outdoor Colorado (VOC) encourages everyone to partake in one of its many volunteer opportunities throughout the state to help keep Colorado’s public lands healthy and thriving. VOC offers opportunities for all ages, skills, and interests. Activities range from planting trees and gardens, to removing invasive plants and revegetating fire-scarred land, to building trails and restoring wildlife habitat. It is VOC’s hope that the passage of this bill will also spark constructive conversations about responsible management of Colorado’s public lands. Those interested in giving back to Colorado’s public places can explore and register for more than 50 volunteer opportunities via VOC’s volunteer calendar at voc.org/volunteer. Places to volunteer include Denver-area parks and open spaces, famous ‘fourteener’ trails, Wheeler Geologic Area, Red Rocks, Urad Lake which is Colorado’s newest State Wildlife Area, Rocky Mountain National Park, the Continental Divide, and many more. VOC volunteer opportunities are open to the public, and no experience or training is necessary.